All sounded great on paper. However, I have not seen any WM screen being useful under direct sun shine. Is this any different? The display issue has kept me from trying out a WM phone. I will stay with Symbian (am using an E61i) until the WM camp takes this issue seriously. 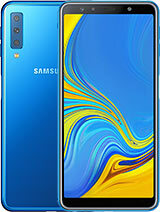 A phone is a phone first, especially with the 3-3.5G video services coming up, I would want to view a mobile TV picture or make a video conference call wherever I am, instead of having to duck into the closest closet for the viewing! Wake up, WM camp manufacturers! Wake up, WM phone buyers! there's no way im waiting for this one. ill just buy the new samsung. Oh Please give me a Break Nokia fans..
this Xperia X1 is just UNIQUE! The panels can be removed and you could add touch flo if you wish but i think orange/voda etc will put their homescreen on it somewhere along the line and as long as that can be removed i am satisfied..
by the time this phone is released in the market, it will be way behind other manufacturers. what is going on SE? nice phone,people who say that symbian is better than windows are ignorants, windows mobile is a lot more complex than symbian, you can even develop your own programs in visual studio and there's even a mobile .net for those that know what this means. You can write advanced 32bit applications for windows mobile and i saw a mmorpg game for windows mobile which is virtually impossible to create for symbian. The 65k screen is way better than anything on the market because of it's high resolution , you can make more colours because of the small pixels by changing the colour of adjacent pixels a little so there's really nothing to worry about. Also keep in mind this is a phone for people that know a lot about computers and it and not for the average user so it's useless to comment about it if you don't know what this phone really does and sony ericsson doesn't give a **** if you say bad things about the phone and know nothing about mobile hardware and all that stuff. Ukraine, 27 Jun 2008the only one think in which I am thinking about this phone its because this first S.E. phone o... moreI am hoping the phone works at least with no fuss...With much bigger ram and faster proccessor it should be nothing like the p990i..When it first comes out i am going to give it a month or so to let all the critisism,,faults and niggles filter thru to get an idea of its performance and wait till gsmarena give it a good going over...Obviously updates will be released at future dates to make things better that always happens but as long as its good to start with then further down the line it can only get better..
daywalker, 28 Jun 2008why only 65t color? honestly m so dissapointed even the p1i can be much better. sony there is ... morewalk in your dream. p1i is run on symbian. so it can support more than 65k color. why only 65t color? honestly m so dissapointed even the p1i can be much better. sony there is still time to change the spec! pls! or else this phone gone to waste basket to the market. the only one think in which I am thinking about this phone its because this first S.E. phone of this kind. SO, SHALL it be reliable and without big bugs?????? what do you think people??? Anonymous, 27 Jun 2008Dude, didnt u see that this phone is using a 528mhz dual core processor and 256mb RAM with ded... moreif this fone has been abandond according to gsm gossip i read, why is this page still here>>>? But for the pride, manufacturing is not mor than 300 EUR i believe, as in 2 years price will fall this low, and beleive me, they are not making looses. Sorry, guess it wasnt as official as I remmembored it but it at least lessens one's fears substantially no? Let me just start this off by saying Im not an apple or iPhone hater. I believe the iPhone is a good product with many good attributes. It has one of the best screens I've seen on a mobile device of any kind and the GUI is very user friendly. That being said, lets get to the meat shall we? Yes, the iPhone is only $199 but that is with contract. If AT&T picks up the X1 as the rumors suggest(and i personally hope cause i dont want to drop $800 on a phone) it will most likely go for $400*(Will explain reasoning at the bottom cause it's boring). For $200 I would definately go for the X1 instead of the iPhone. Why? because it has 4x the screen resolution and wider screen means easier to view web pages, a keyboard, faster 3G(iPhone is limited to 1.8Mps), and it's windows mobile. While the iPhone's OS is quicker and clearner than windows it cannot hold a candle to the amount of apps I can install on a WinMo phone. Those reasons alone are enough, but there's also the 3.2 AutoFocus cam w/ flash, video rec, AD2P Stereo Bluetooth, FlashLite Support main YouTube library(not the re-encoded mini verison the iphone has access to) and the like, mms, and most importantly copy/paste! :P Did I miss anything? To be fair to the iPhone, it was never meant to compete with phones like the X1. The iPhone is a feature-phone(Mobile-Review.com did a great peice explaining why this is in greater detail), the X1 is a smartphone. They are ment to do different things...The iPhone was ment for people who want to casually browse the web, and enjoy music/videos on the go. The X1 is for people who want to squeeze everything possible out of their phone. People who want the most options, the most compatibility, and the most flexability. Hence my conclusion, the iPhone cannot be compared with the X1 as it will lose every time. If Apple didnt even bother to add copy/paste to the 3G they are clearly not aiming the device at business oriented or tech savvy people(no offense). 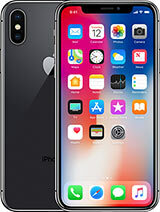 This is not to say that only idiots like the iphone; just wanted to enforce the fact that the iPhone wasnt ment to do battle with the X1 so please dont compare the two. *I believe it will cost $400 because looking at the past SE phone AT&T picked up(w580) it retailed unlocked from SonyStyle.com for $400 (might have been $350 but im pretty sure it was 400, please correct if wrong). AT&T on the otherhand, launched it phone with a $199 price tag with contract. That's a 50% reduction is price. With similar phones like the HTC Touch Pro launching at $750-800 SE cannot go beyond $900 if they want to stay compedative. Also based on AT&T and T-Mobile's offerings of Smartphones with keyboards (Tilt, BB8820, Wing) they all go for under $300 (except tmobile's 8820 which is +50). With this pricing scheme and SE's tendency to charge a premium for their products, they will most likely charge $800-850 for a retail unlocked version. So the contract price shouold be at $400 as it is close but still higher than similar offerings and is similar to AT&T's discounts in the past.